Orthodontics is more than just straightening teeth. An orthodontist is a specialist in the dental field who has extensive knowledge with all issues related to the jaws and bite. Unlike a general dentist who focuses on dental check-ups and maintaining the health of the teeth and gums, an orthodontist specializes in correcting misalignment of the teeth and jaws. To become an orthodontist one must successfully complete a 3 to 4 year undergraduate program, followed by a 3 to 4 year dental training program at an accredited dental school and finally pursue specialty training in orthodontics for an additional 2-3 years.  Therefore, all orthodontists are first dentists and possess the broad knowledge of the dental field. Additionally, they have further expertise in treating all forms of “malocclusion” or bad bites. Many dentists can offer orthodontic treatment, but they have not been properly trained in that area. Some orthodontist chose to expand their education and expertise even further by becoming Board Certified. A board certified orthodontist is one who has voluntarily gone through extensive additional educational and clinical examination in order to become a member of the board. The initial phase of the accreditation is to successfully pass a comprehensive written examination covering all aspects of the orthodontic field. Next the prospective candidate must treat 6 patient cases with strict guidelines and present those 6 completed cases to a review committee comprised of board certified orthodontists. 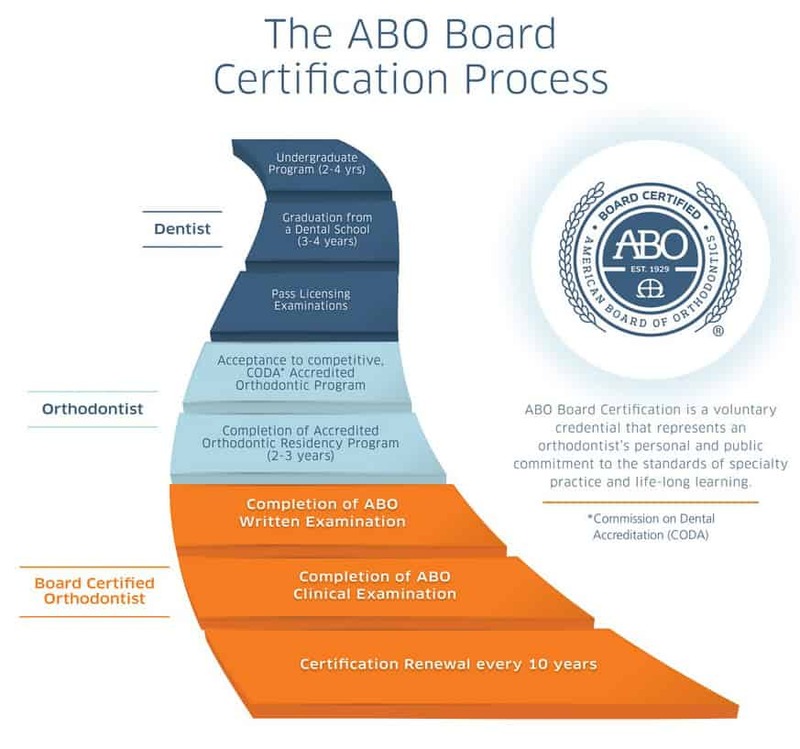 Upon successful completion of the clinical and further written exams the orthodontist is now a member of the American Board of Orthodontics, the only orthodontic specialty board recognized by the American Dental Association. Only 25-30 percent of all practicing orthodontists in the Unites States are Board Certified. Achieving board certification is the last step in a long and intensive educational experience to ultimately provide excellent patient care. A board certified orthodontist is committed to the highest level of patient care including a comprehensive treatment approach to ensure quality work. A board certified orthodontists must re-new their certification every 10 years to demonstrate their continuous commitment to excellence.